A letter obtained by The Associated Press shows that Republican Gov. 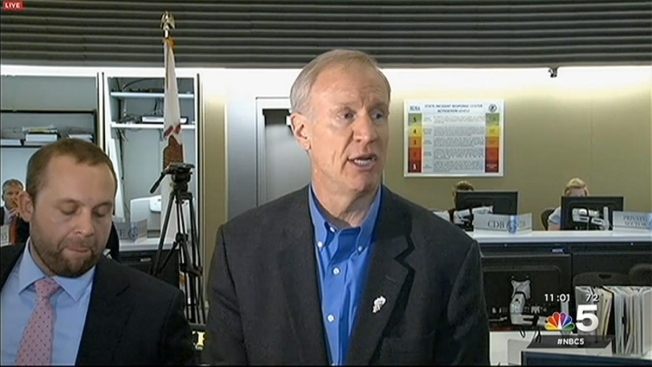 Bruce Rauner's personnel agency has concluded that he should continue paying state employees full wages during a budget impasse. The letter from attorney Michael Basil of the Department of Central Management Services says that the same complex federal rule that allowed the state to make full payroll during a 2007 standoff creates the same situation today. Rauner has pledged to meet payroll even if his stalemate with legislative Democrats continues through July. Democratic Attorney General Lisa Madigan said Monday that the 2007 court ruling did not set a precedent. Basil's letter to a top Rauner lawyer indicates the same scenario applies. It would take so long to determine federally required base payments that officials should pay the full bill.